Employer Survey: Big Jump In Health Insurance Premiums : Shots - Health News Premiums jumped by 9 percent this year, with the average price for employer-provided family coverage topping the $15,000 mark for the first time. There was good news and bad news in this year's annual survey of employer health benefits by the Kaiser Family Foundation and the Health Research and Educational Trust. The good news: An estimated 2.3 million young adults under age 26 have been added to their parents' health plans as a result a provision of the 2010 Affordable Care Act. That's even more than the number estimated recently by the Census Bureau or the Centers for Disease Control and Prevention. But the bad news is pretty bad. Premiums in 2011 jumped by 9 percent, with the average price for employer-provided family coverage topping the $15,000 mark for the first time. Ouch. Even worse, says Drew Altman, Kaiser Family Foundation president and CEO, is that the increase comes at a time "when wages aren't going up, and in fact wages are actually declining in real terms, and that means that the increase is especially painful this year for working people." The U.S. Chamber of Commerce says it's not at all surprised by the increases. "Unfortunately, as we highlighted for the country and for our members during the legislative debate, the health reform law will do nothing to control costs and instead will drive premiums higher," said Katie Mahoney, the chamber's executive director for health policy. But Altman says that while the survey methodology doesn't allow Kaiser to determine the exact the reasons for the premium jump, one thing is clear: The health law is not the main culprit. Opponents of the measure "blame everything on what they call Obamacare, including the weather," he says. But he says the foundation's best estimates from the survey are that the costs of the benefits already in effect — largely the young adult coverage and new preventive care without copays — are responsible for between 1 and 2 percentage points of the 9 percent increase. He says the rest may have been the result of insurers gearing their premiums "to an expectation that the use of health services would go up because of an economic recovery that was starting and then it didn't happen." For its part, the health insurance industry group America's Health Insurance Plans, or AHIP, issued a statement about the survey trying to take the blame off of its members. Among other things, AHIP says underlying medical costs are continuing to rise and that the recession has led to "a workforce that is older and has higher healthcare costs." On the other hand, there may be reason to believe that Altman is right — that this year's increase was pegged to health care utilization increases that failed to materialize. The evidence is today's announcement by the White House increases in premiums for the closely-watched federal worker health insurance program for next year will average only 3.8 percent. That's barely half of this year's 7.3 percent increase. Meanwhile, one of the other major trends in the survey is the rapid movement toward plans with high deductibles, with or without some sort of savings account from which people can pay health expenses. More than half of all workers in businesses with fewer than 200 workers are now in health plans with deductibles of more than $1,000. And more workers are in plans with a $1,000 deductible and some sort of savings account than are enrolled in an HMO. "There's a big argument among experts about whether these (high-deductible plans) are good for people or bad for people," says Altman. "But one thing we know they are; they're cheaper. As a result, he says, there's a major shift going on, almost under the radar. 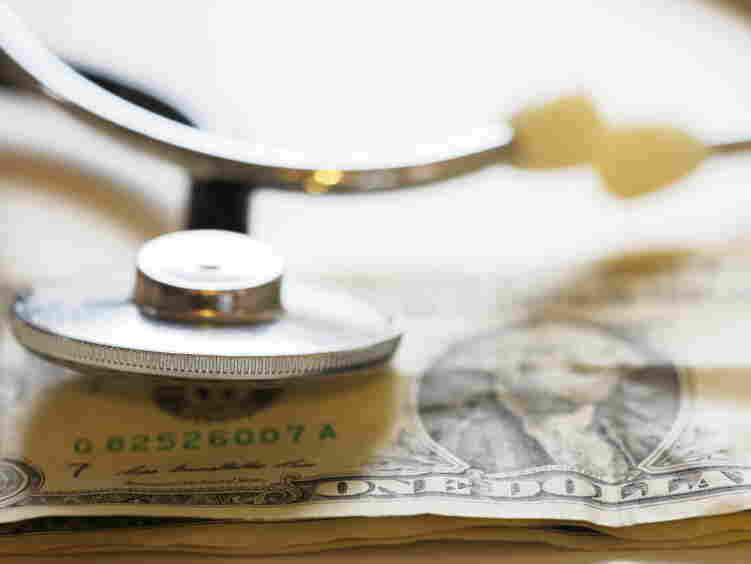 "Health insurance is becoming less and less comprehensive with these high-deductible plans."